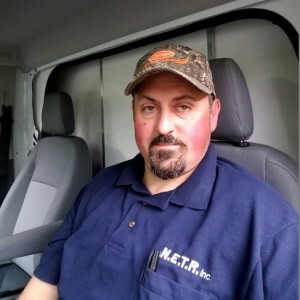 Ryan S has a 5-Star rating and leads the company in total reviews, making this pro a ReviewBuzz Rockstar! I am 25 years old. I live in Saugus, Ma. and I have been working in HVAC for 5 years. When I am not working, I am an avid outdoorsman. I enjoy fishing, hunting, hiking, rock climbing, and camping. Or just a simple walk with my wife and dog. Pretty much anything that has to do with the outdoors. My first NETR contact was Paul V who came to my house to assess the AC requirements. I decided on split units that would provide AC and heat and 3 units to be installed. Next Adam came out to determine the technical/installation requirements. It was determined that 2 work crews would be sent so that all installation would be completed in 1 day. On that day the technicians were due to arrive at 8 AM. Imagine my surprise when I went out to move my car at 7:30 and they were already here! Brian B, Ryan, Christian F and Ivan B introduced themselves by name (which is not often my experience with contractor staff I've not previously met). Brian explained how the work would progress, with the first step being to walk through the project with me. That accomplished they set to work. I was a bit concerned about foot traffic over rugs in the living room, but no worry. The technicians wore booties over their shoes and put down drop cloths so no one was walking directly on the rugs. I had explained that we have dogs and an indoor cat, and they were very careful to make sure the cat didn't escape. (The dogs were crated so no problem there.) They worked quietly with an electrician arriving around noon. By 2:30 all 3 units were installed inside and out. Christian instructed me on how to use the remote controls and also how to maintain the outside equipment in the winter. Definitely a great experience and happily warmer in the house now! And looking forward to being cooler in the summer. NETR was awesome. Chip did a great job explaining the products and process to me initially and Ryan S. killed it on the installation. He was on time, professional, and super efficient getting everything in and installed. He walked me through how to use the system and couldn’t have been easier to work with. Had NETR Inc. install a ductless air conditioner in my living room. What a wonderful team! 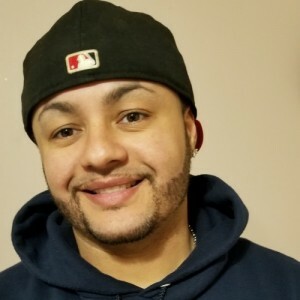 I was especially impressed with Ryan S. He was on time, worked straight through without any break and cleaned up so well you'd never know he was there. He was patient with all my questions and answered all to my understanding. 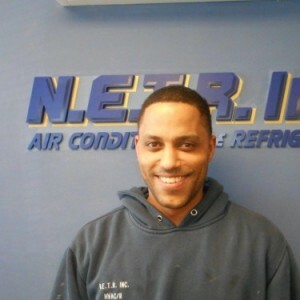 I would highly recommend NETR Inc. if you're contemplating a ductless air conditioning system. Ryan & Jawon were great!They did goo work and offered suggestions forthe best placement of units. They worked efficiently and left the place clean when finished. 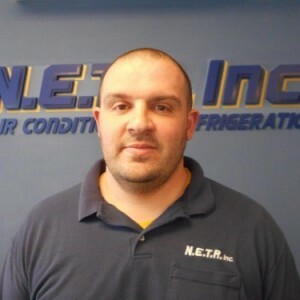 I had a ductless AC / Heater unit installed by Ryan at N.E.T.R. and I am completely satisfied with the outcome. Great product, Great Service! I would highly recommend N.E.T.R. Our installers were great. They were here each day at 7:30 am and worked a full day. They always left the house clean. They answered all questions and told us what they were installing. The units are great and we would recommend your company. Thanks. Jimmy "armed" with his apple I-Pad and his background with installations made the decision easy & comfortable. Ryan & Ivan could not have been easy to work with during the installation. When they were done the house was spotless. Many thanks to you all at N.E.T.R., we are very pleased with our new ductless system. The complete experience with the staff of N.E.T.R. Inc from the Office personnel (Eleni M*******) to the sales rep Jim S******* to the installation crew Jerry, Ryan, Matt and Jawson were extremely professional and accommodating . The install staff were very knowledgeable and polite. I will use these folks again and will recommend them for sure. Thank-you all. Great customer service and respect for all property while on site. These guys are the essence of boy scouts! From start to finish these guys saw it through with me. Mike, Chip, Ryan, Brian... They analyzed, designed, planned, and implemented, etc. in a professional, kind, courteous, etc. manner. They used drop clothes and common sense! When they left, they cleaned up too! They are my heroes! Amazing team. Installers worked hard and cheerfully during the worst whether of the whole year. Most polite and left the place completely clean. Very good work and product. Everyone did a great job, starting with Paul, then install with Ryan and Ivan, and finishing up with Steve with electric. My place was left clean just like it was when they started. Ver happy with the job. Glad I chose this company.